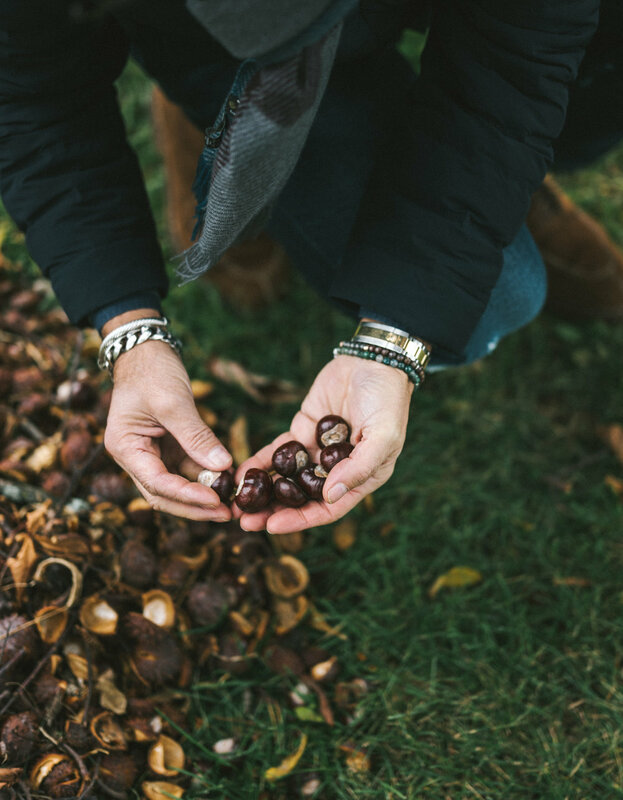 Exploring our new Fall/Winter 2018 Collections, we decided to head out to Niagara’s most unique estate. Brunello Cucinelli - Alpaca Coat. Cashmere Striped Blanket Scarf. Wool Flannel Flat Cap. When it comes to your wardrobe, autumn is the most wonderful time of the year. There are so many options, so many textures and colours, so many layers to play with. Literally. And the best part is the inspiration that you can find all around you. The hues of fallen leaves and dry grasses. The mottled shades of autumn skies. The vibrant harvest of delicious foods and drinks. Fabio and Santo experienced all this inspiration at once with a visit to the Pearl Morissette winery in Ontario’s fabled Niagara region. 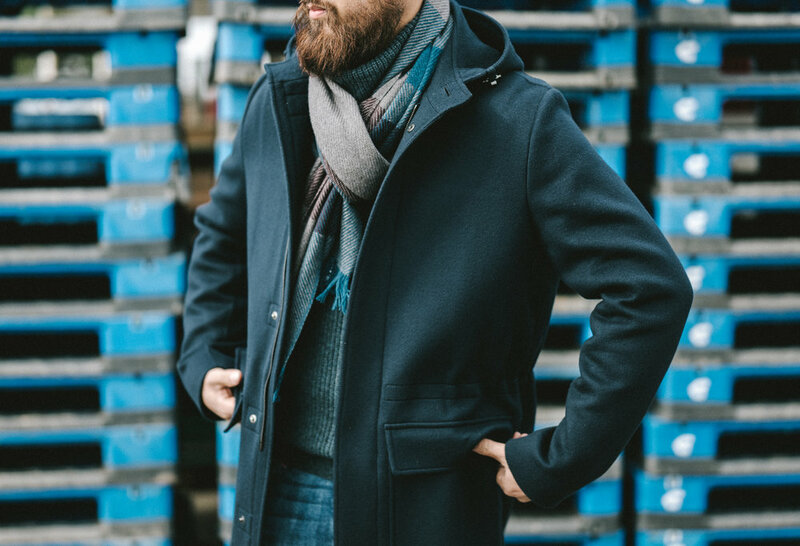 Loro Piana - The Warwick Parka in Doubly Ply Baby Cashmere. 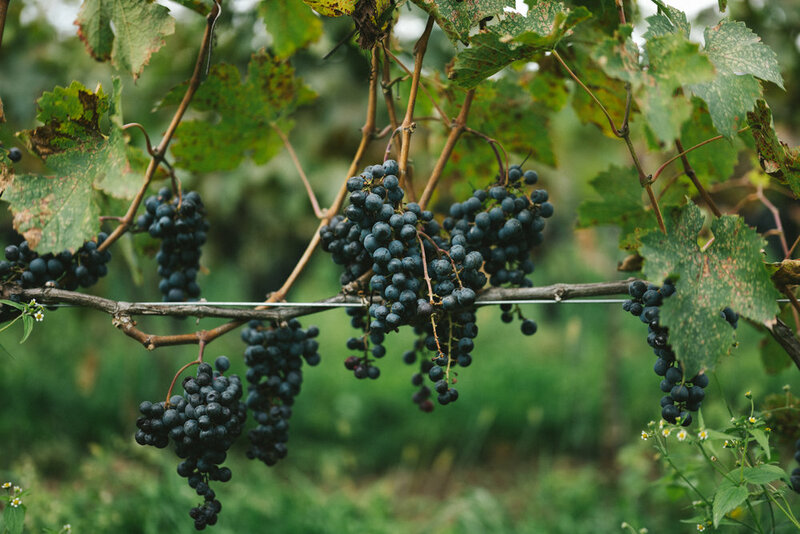 In operation for a decade, Pearl Morissette produces some of the region’s most celebrated wines, including cabernet franc, pinot noir, riesling and perhaps their apex, a chardonnay of unparalleled quality. Production is so closely guided and cared for that only a limited number of wines are available at any given time. The vineyard’s vigneron, François Morissette, only releases them when he believes they are truly showing, or able to show, their full potential. The winery is also known for the quality of its restaurant, recently named one of Canada’s top new restaurants. Pearl Morissette’s owner has been a client, and more importantly a friend of Via Cavour, for some time, so the vineyard was a natural destination for a photoshoot. Winemakers who appreciate fine clothing; clothiers who appreciate fine wines. All amidst the finest season for dress. Paolo Scafora - Wholecuts with Toe & Heel Crimp/Stitch Detail. Featuring a Winter Vibram Sole. The guiding principle behind this photoshoot, and really, most of what we do at Via Cavour, is clothing that is casual yet smart, easy to wear and that travels well, that can see you through all kinds of adventures, in and out of doors. Items that must harmonise with each other, while each layer has its own draw, something that makes it unique, that gives you a shot of joy each time you put it on. When combining, we look for harmony in colour, pattern and texture. Blues with greys. Like the skins of ripened wine grapes. Browns with tan. Like the vines themselves. Patterns that are bold up close, yet subtle from a distance. Meanwhile, textures in the autumn, especially in the country, are thicker, rougher, chunky. Conveying a feeling of warmth and the reassurance of durability. To all this we add the occasional shot of colour. The vivid crimson of an autumn sunset. The burnished brown of fallen chestnuts. The burgundy of a.... Burgundy wine. Which brings us back to our destination and the fine wines and foods of Pearl Morissette. A reminder that the best thing about autumn, about any season, is enjoying the generosity and company of good friends. Loro Piana - Quilted Cashmere Vest | Jacob Cohen Jeans- Washed Denim | Brunello Cucinelli - Weekender Bag. Brunello Cucinelli - Cashmere Peak Lapel Sports Jacket. Explore Toronto’s finest Brunello Cucinelli boutique.